So while I was away on my lovely trip to London, I spotted a KIKO Milan store and wanted to try almost everything. 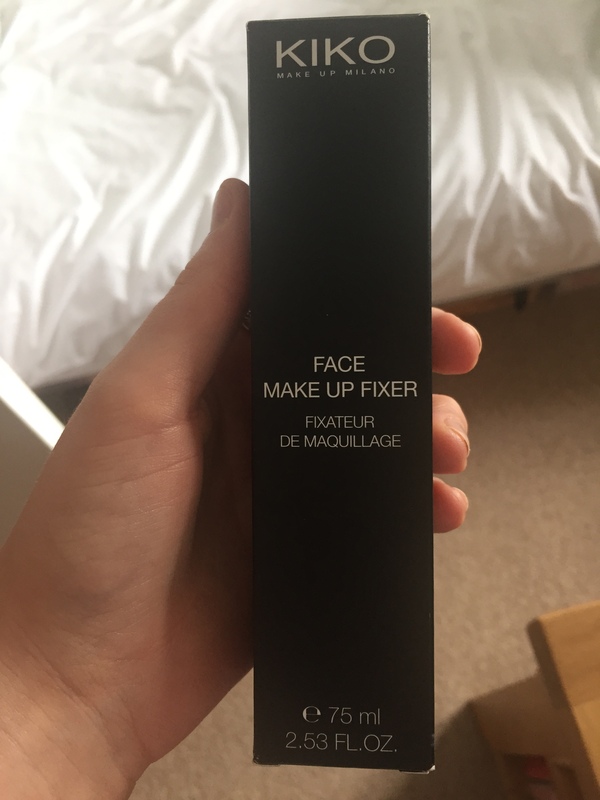 But I ended up settling on a make-up fixer spray, mainly because I’ve been spying them for a while now and I want to what all of the hype is about, of course. And at £7.90, I thought this little KIKO product was an absolute bargain so out came my debit card and into my bag it went. Now I was really excited to try this product. 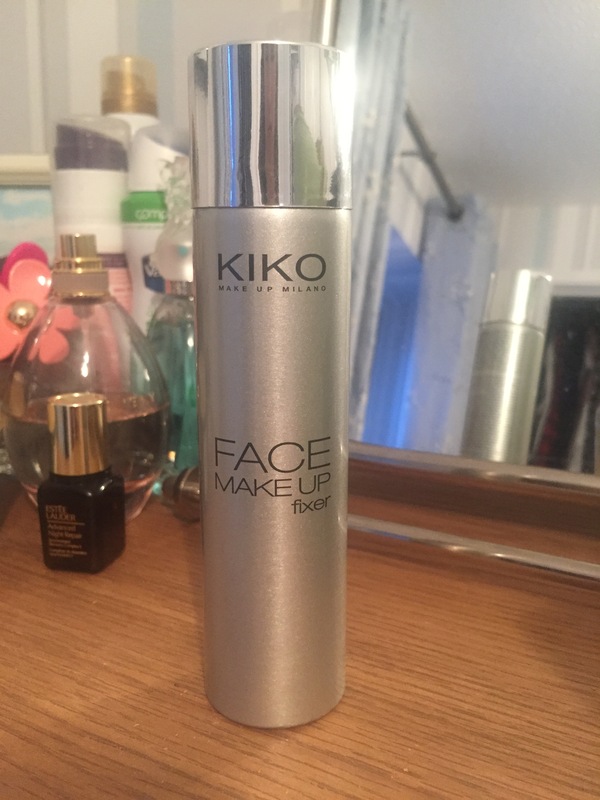 It was good value for money, a really good sized bottle for what you get and I’ve tried the KIKO brand before and been really impressed. I still swear by their mascara today. So obviously I was really hyped up before trying it. One good thing that I will say about this make-up fixer is that it’s very light and doesn’t feel heavy on your face. I can barely even feel it on my skin which is pretty great. It’s a pretty refreshing feeling when it goes on actually. But in all honesty? I don’t really know if this product was worth purchasing. I tend to stick to very long-lasting foundations all the time anyway, so the product didn’t really appear to make much difference to the appearance of my make-up at the start or at the end of the day. Even though the overall look and feel of the product is pretty smooth, I doubt I’ll be repurchasing this product.